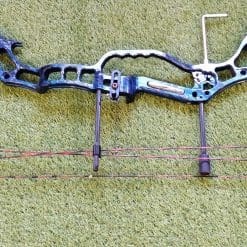 Phoenix Archery has a wide selection of the very best compound bows for sale. Compound bows are the most powerful, accurate and fastest type of bow. They give the archer a mechanical advantage. Allowing him/her to shoot at speeds up 370 feet per second. The very best bows can transfer up to 89% of their draw energy into the arrow. And these bows shoot the arrow at a flatter arc too. Draw (pull) on a bowstring and the energy is stored in the bows limbs. This energy is used to launch the arrow. The further you can draw the bow, the faster the arrow will shoot. 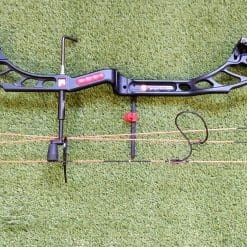 Non-compound bows get harder to draw the more you pull them, making holding, aiming and following a target much harder. A compound bow uses cams of the ends of the limbs to ‘let off’ at the end of the draw. Making the bow easier draw, shoot harder, faster and more accurately. You can upgrade the bows too. You can add stabilisers, sights, and dampeners to improve your shooting further. This why compound bows are the main choice for bow hunting and archery competitions. Children will also find compound bows easier to use, as the bows require less strength to operate. 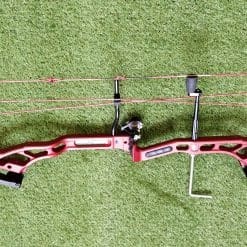 You can find our compound bows for children and kids here. We sell Obsession Bows, Hoyt, PSE, and Matthews compound bows.